FOB Price Get Latest Price ModelG161Y023 Certification GMC, UL CapableUL Min.Order10 Brand NameJIQIUGUER Brief DescriptionOriginal design by Outline. 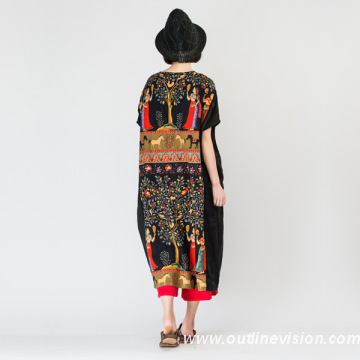 Vintage national style appliques embroidery and tassels women loose soft solid winter lightweight long sleeve dresses. in love with Jiqiuguer style. the design, development production and sales as one original designer brands enterprise. free ,appearance smooth,Fine detail.is our insist all the time. Satisfy investors, customers in home and abroad. A:Lcated in Lukou Street, Nanjing; app.x 1 hour train from Shanghai . All clients are warmly welcome to visit our Sample Room and Factory. 3.Q:What is the main material of your products? A: Mainly natural and eco-friendly Cotton & linen and silk. 4.Q: Are you original design brands? And what are your features? A: Yes, Leading in the line of national trend brands with 14 years in China. With hand embroidered, appliques and traditional tie dye makes exotic-trend and fashion design well combination. 5.Q:Can I buy 1 sample or several pcs instead of MOQ 20 pcs? A: Yes, we can. Please email us directly when you are interested. 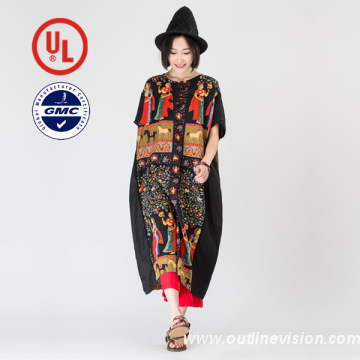 Founded in 2000, Nanjing Outline Garments Co.,Ltd is a designer brand corporation focused on garments designing,developing, producing and selling. Products include various styles of four season's lady clothes. By using nature material such as cotton, linen, fur and silk, products show nature feeling, romance and freedom. 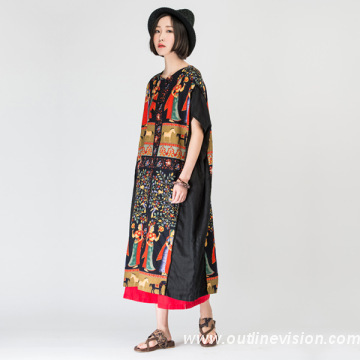 Outline garments are simple elegant, intellectual freedom, smooth appearance and detailed craftwork. By combining traditional hand-made and modern high quality detailed cutting, Outline garments perfectly integrated fashion and world's nationality elements into its unique brand style.With more than 300 employees and several production lines and imported equipments, Outline occupies 10000 square meters and locates in south of Nanjing Changjiang River bridge. Relying on the locationi advantage which is near Lukou airport and high speed train, Outline bulids the bride for all factories and agents who trusts us. Outline also set up brand management center in Beijing, Shanghai and Guangzhou to satisfy investors and clients all over the world.